For me this is where they stepped over the line. 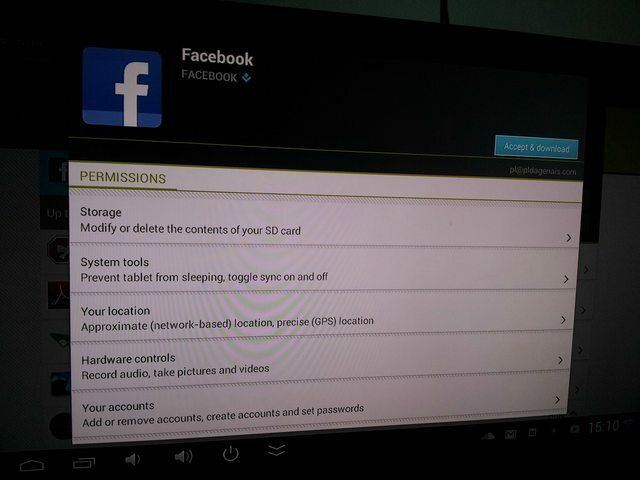 Facebook came out with an app update today on Android and when I looked at the new permissions this version request over the previous ones, I noticed that by updating, you consent to let Facebook use your microphone and record with your camera anytime, without your confirmation. I know I won’t be updating, but how many millions will? In an effort to crack down on theft at McDonald’s locations in Australia, the fast-food restaurant chain has hired a British firm SelectaDNA to install a security system that sprays a “non-toxic solution with DNA code” on robbers. A number of McDonald’s locations in Sydney had been targeted for break and enter by criminals over the Christmas and New Year holiday period. McDonald’s Australian subsidiary hopes the newly installed systems will stop the intrusions. A new poll has uncovered a “shocking willingness” on the part of Americans to give up their privacy and freedoms for the sake of “safety,” just at a time when the Obama administration is launching an assault on the self-defense rights guarded by the Second Amendment. “As leaders in Washington prepare an assault on the Second Amendment, a majority of Americans – 61 percent – said they believe that domestic use of drones by government and law enforcement agencies represents a violation of people’s right to privacy,” said Fritz Wenzel, president of Wenzel Strategies. It was his public-opinion research and media consulting company, Wenzel Strategies, that released the results of a telephone poll conducted for WND. It was taken Jan. 9-12 and carries a margin of error of plus or minus 3.22 percentage points.